One of the most talked-about trends in dentistry today is tooth whitening. 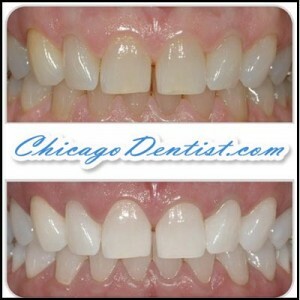 Ideally, tooth whitening helps in ridding our teeth of stains that cause discoloration (yellowish teeth). But what does cause these unsightly discolorations anyway? And wouldn’t it be better if we prevented these discolorations ourselves so we won’t have to resort to tooth whitening? Read on if you’re interested in maintaining the white complexion of your teeth the easy way. Extrinsic discoloration – Whenever we drink fluids that have artificial coloring (e.g., wine, carbonated drinks, coffee, chocolate, juices, and syrups), the chemicals present in the coloring latch on to the surface of our teeth. Extrinsic discoloration is not only limited to fluids, but to eating preserved food and smoking as well. It is important to thoroughly brush the surface of our teeth and don’t let stains latch on overnight. Intrinsic discoloration – This is caused by abnormally high amounts of fluoride intake. A number of cases have been recorded in the US wherein the children’s bodies were not strong enough to tolerate the fluoride that has been mixed with the water supply. The effect is a yellowish tint on the dentin of the tooth. It has also been found that maternal intake of tetracycline while pregnant may induce the offspring to acquire intrinsic discoloration, even without the presence of fluoride in the water supply. Age-related discoloration – It’s quite often that we see our grandparents have a rather scary smile with the discolored teeth that they have. The human body will eventually lose its ability to fight off stains because of the weakened salivation of older people. This in turn, makes it easier to plaque and other forms of bacteria to build in and stain the tooth. Note that there are also various tints of discoloration, especially with children – this is called dentinogenesis imperfect: a rare condition manifested by grayish to blackish discolorations of the teeth. This may go away when the permanent teeth erupt. Tooth discoloration can be easily diagnosed by the dentist by just looking at the teeth. However, removal of stains require a carefully administered process called “professional cleaning”. If professional cleaning does not work (probably caused by permanent stains), the patient is given the option resort to bleaching. Tooth discolorations may look superficial but the condition can actually worsen and may lead to plaque and eventually, tartar. It is imperative that one thoroughly brushes the teeth after each meal and more importantly, before going to sleep, because the stains and the bacteria do more damage if left overnight. At-home whitening products can only do so much in removing stains and whitening the teeth. Some stains cannot be forcibly removed, as they may cause tooth abrasion, which is also another unsightly condition. If all else does not work, the dentist can administer “power bleaching”, which makes use of a light-activated bleaching gel that accelerates the whitening process tenfold. This effectively masks the stained surface of the teeth. Mind you, these advanced levels of whitening require several follow-up treatments in order for them to fully conceal the stains.